Overview. Many states in the U.S. have an old, historic state capitol, no longer in use as a functioning legislative hall and in many cases these historic structures are located close to the current capitol buildings, which are typically grander, and undoubtedly more ornate. Many of the older capitol buildings, often architectural gems of early American architecture, were eclipsed by their successors. Some of the surviving old state capitols are in cities and towns that no longer function as the state’s capitol city, and as such, are physically distant and virtually unknown. However, no less than 24 states have old state capitol buildings which still stand. 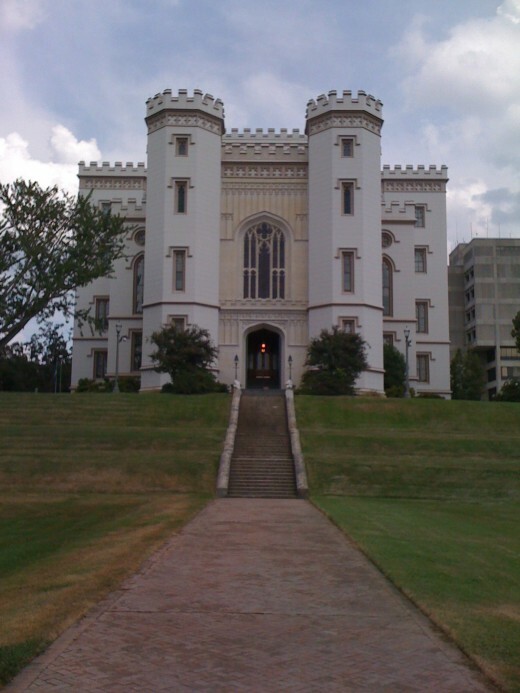 Some of these structures are nothing more than ruins as is the case of the old capitol in Tuscaloosa, Alabama. 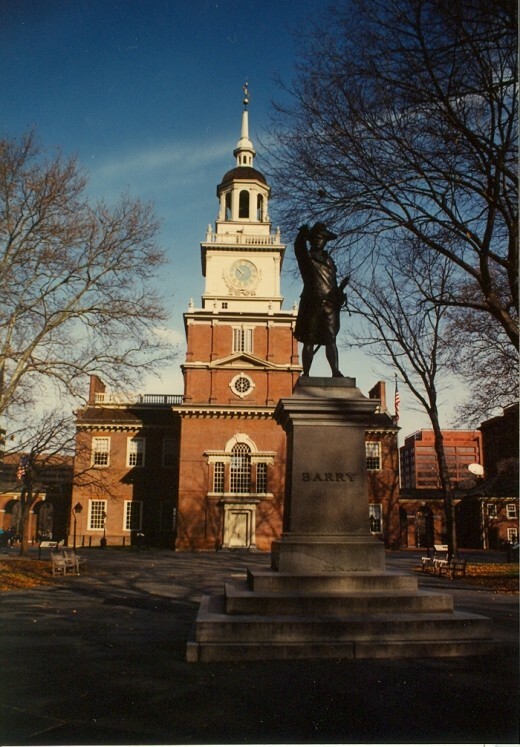 In other examples, it is surprising to learn that the preexisting state capitols are among the most famous buildings in the country; for instance Independence Hall in Philadelphia served as the Pennsylvania state house until the state’s capital was relocated to Harrisburg. 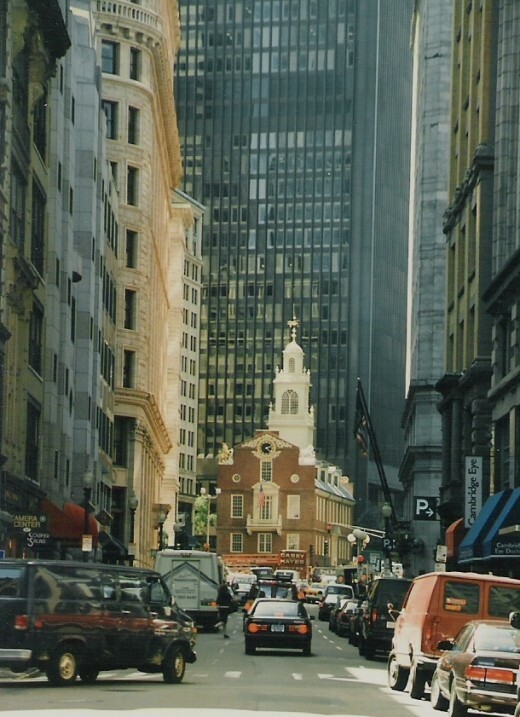 Boston’s Old State House, the city’s oldest public building, is another iconic landmark often photographed amidst the surrounding skyscrapers which dwarf it. Some of the old state houses were consumed by fire while still operational – a phenomenon which was common during the mid nineteenth century and inevitably led to the building of larger, grander structures. A few states still have extant territorial statehouses which remain as historical buildings having survived the relocation of the capital city. They serve as beautiful remainders of nineteenth century period architecture. 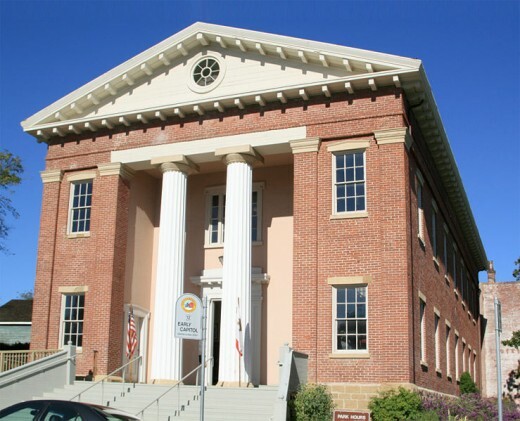 Often a county courthouse or city hall was temporarily used as a state capitol until a permanent structure was built. Other states such as Illinois and Rhode Island have a couple of old state houses that remain in different cities – a common phenomena as demographics changed and state’s populations centers shifted. It’s no accident that today many state’s capitals are geographically centrist. Tuscaloosa (ruins), Alabama. While the state capital was eventually moved to Montgomery,Tuscaloosa held the title as the state’s capitol from 1826 until 1846. Along with this title, a state capitol building was completed. Fire consumed this old capitol building but the ruins of Doric columns and some wall sections remain. 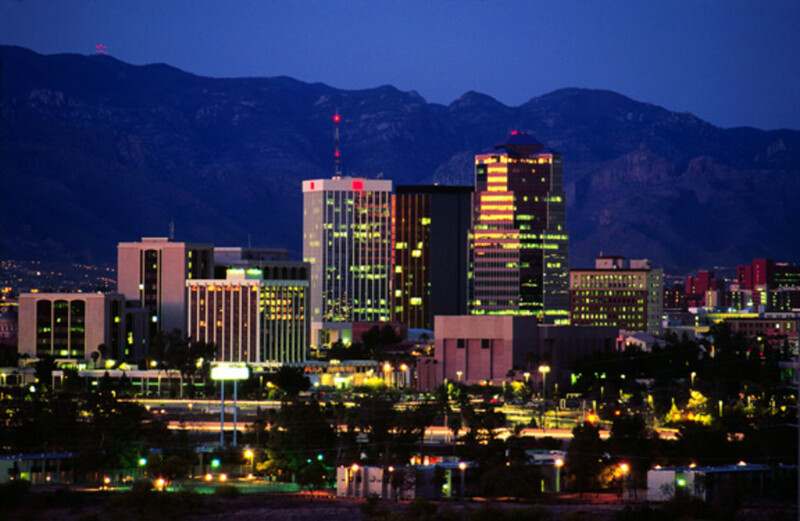 Phoenix, Arizona. The copper-domed building which many believe to be the state’s capitol building is now the capitol museum and has been since 1981. 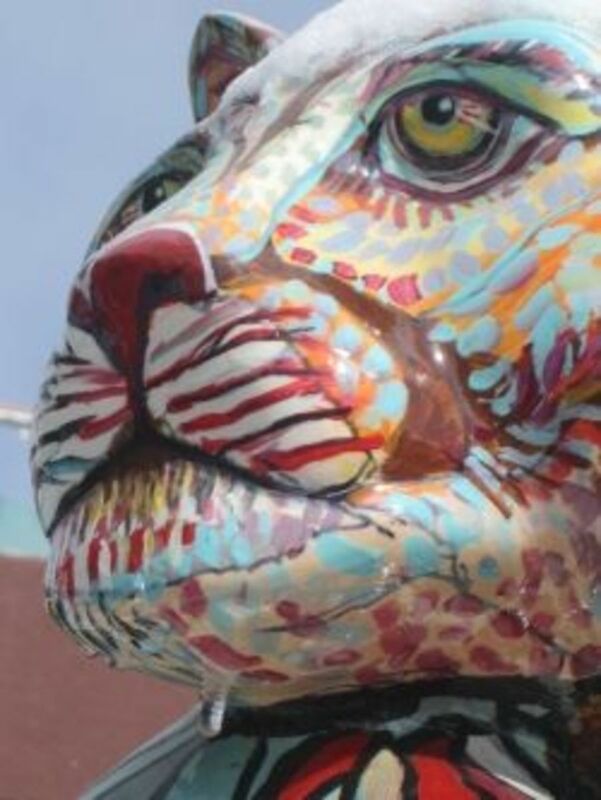 It sits at the center of at the large and expanding Arizona Capital Mall. 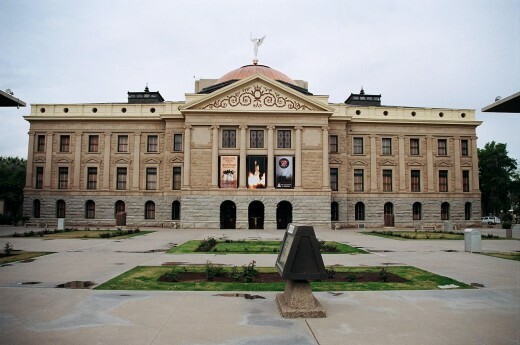 Completed in 1900 the classical revival building is now the Arizona Capital Museum although plans are being discussed to redesign the Capitol Mall complex. 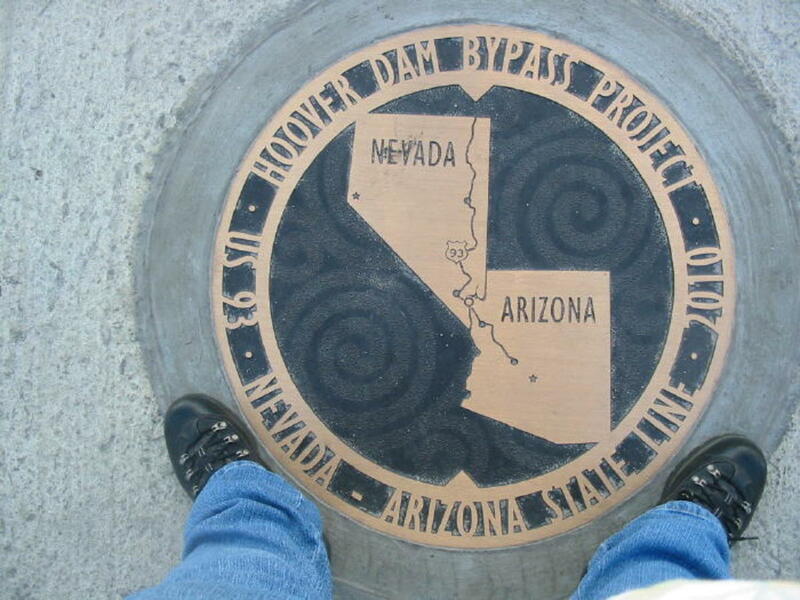 Essentially it remains the symbolic capitol of Arizona. There is also debate whether to move the governor's office back into this historic building. Little Rock, Arkansas. Little Rock’s present capitol building is immense and its white columns and dome mirror the nation’s capitol in D.C. The old capitol still remains nearby however and is a beautiful reminder of Greek Revival architecture. Built between 1833 - 1845 it was designed by Gideon Shryrock. It is now the Old State House Museum. Benicia, California. The modest but unique building is now a state historic site and marks the Golden State’s capitol in its earliest years from 1853-1854. 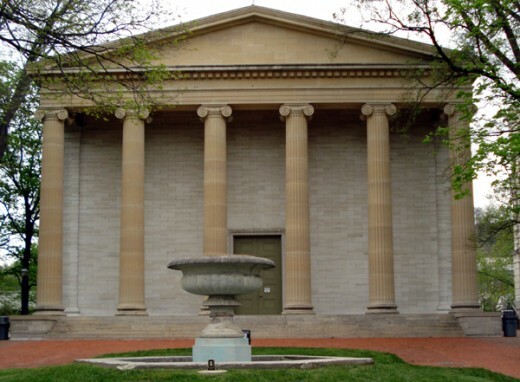 This brick building fronted by two Doric columns is Greek Revival-Palladian in form and is located at 1st and G Streets. Hartford, Connecticut. Truly one of the classic early American buildings, the Old State House in Hartford was designed by the renowned Charles Bullfinch, completed in 1796, and is not-to-miss for any history or architect buff who should visit this city. It’s location in congested downtown Hartford contrasts to the more open location of the present capitol building, much grander in appearance and no less impressive. The mostly federal style building with colonial elements survives as one of the larger early public buildings from eighteenth century America. Its reputation as being haunted adds to its allure. 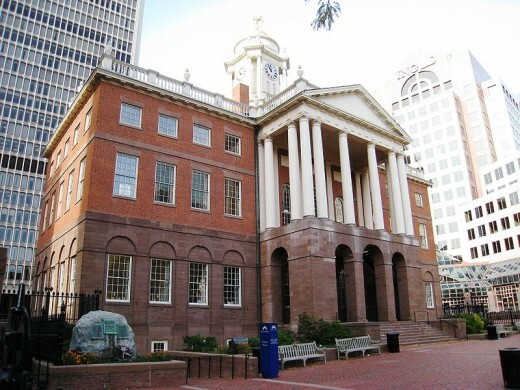 The Old State House has some important historical hallmarks as well; the Hartford Convention was held here in 1814-1815 as well as the Amistad trial in 1839. Dover & New Castle, Delaware. Located on The Green in Dover close to the current Delaware state capitol, which is known as Legislative Hall, the Old State House is a small but finely preserved building completed in 1791. It served as the state’s capitol until Legislative Hall was dedicated in 1933 and is now a state museum. Prior to its move to Dover, New Castle served as the state's capital from 1776 to 1777 and was the colonial capitol prior to statehood. 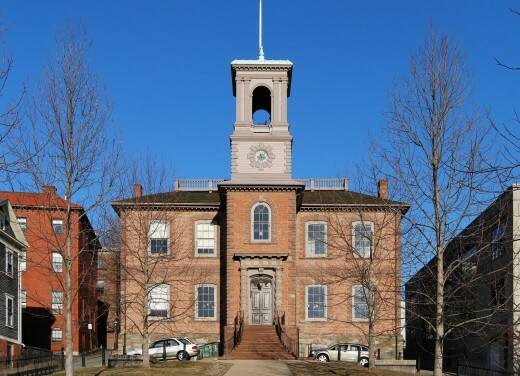 The beautiful Georgian building known as the Old Courthouse, built in 1775, still stands on Delaware Street amidst an excellent collection of historic buildings that this small city supports. Tallahassee, Florida.Tallahassee was chosen as the state’s capital because it was midway between the major population centers at the time, Jacksonville and Pensacola. “The Old Capitol” remains a beautiful domed structure which sits directly under the new capitol, a sleek modernist skyscraper which rises 345 feet and dominates the city’s skyline. 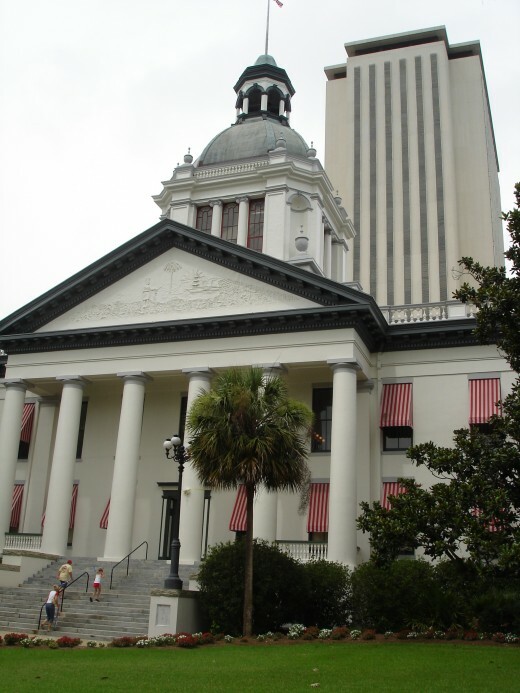 The old capitol is a Classical Revival building dating from 1845 and is now the Florida Historic Capitol Museum. Milledgeville, Georgia. Milledgeville lost the distinction of Georgia’s capital when it moved to Atlanta in 1868 but the old capitol, a fine example of Gothic revival, built between 1807 and 1837, still remains as well as a beautiful Greek Revival Old Governor’s Mansion in this small city in centralGeorgia. Honolulu, Hawaii. There couldn’t have been a better building chosen to house the state’s capitol than the ‘Iolani Palace in Honolulu. The American Florentine style building, completed in 1879, is the only building which was formerly a royal palace in the United States. 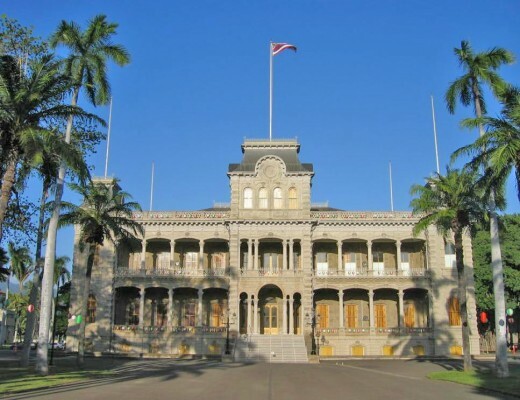 The Hawaiian monarchy was overthrown in 1893 after which the building served as the center of government under various forms and finally as state capitol until 1969. Vandalia & Springfield, Illinois. 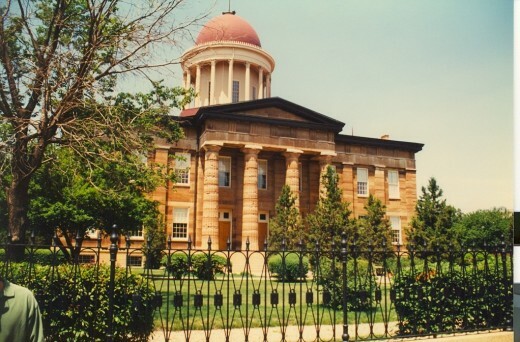 Illinois has two existing old state houses one in the present capital of Springfield, a domed Greek Revival structure which was completed in 1840, and an earlier Federal style building located in Vandalia which was completed in 1836 – the fourth and oldest state capitol building in Illinois. Both structures are currently preserved as state historic sites. Corydon, Indiana. 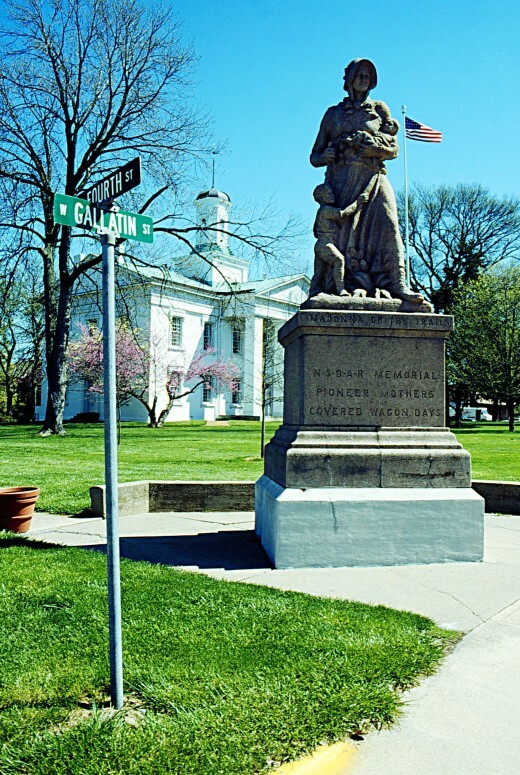 Located in southern Indiana this town served as the state’s first capitol until 1825. The modest Federal style state capitol constructed of native limestone still stands and was built in 1813. 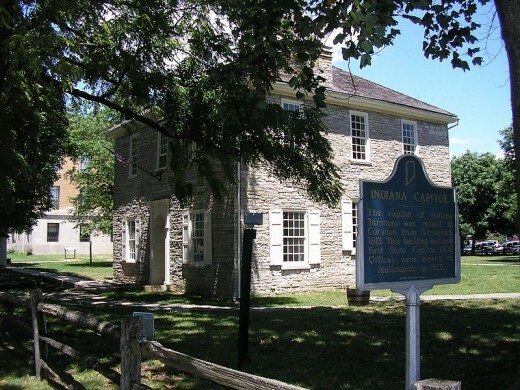 It was also in this building where the Indiana State Constitution was written in 1816. Iowa City, Iowa. 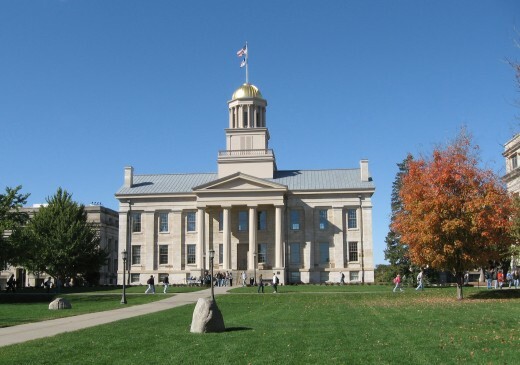 Better known for the sprawling campus of the University of Iowa, Iowa City was also the state’s first capitol. The beautiful Greek Revival building, now part of theUniversity ofIowa campus, was completed in 1842. The state’s constitution was written here and the building remained the seat of the state’s government until 1857. Frankfort, Kentucky. 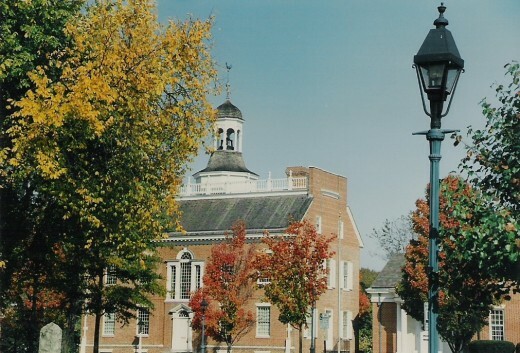 While Frankfort is still the state’s capital, the city has an existing old capitol building. 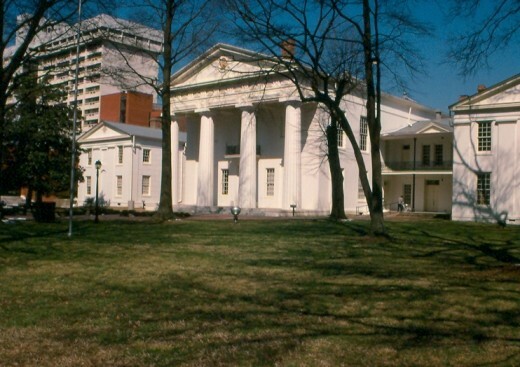 Completed in 1837 the modest Greek Revival building served as the center of the state’s government until 1910. It was designed by Gideon Shryock, the same architect who designed the Old State House in Little Rock, Arkansas, and not surprisingly, the two buildings bear a similar resemblance. It was the third state capitol structure in the state. Baton Rogue, Louisiana. Completed in 1847 as a Gothic Revival building, this structure is without a dome and looks similar to castles in the Rhine River Valley or those built by the Bavarian King Ludwig II. 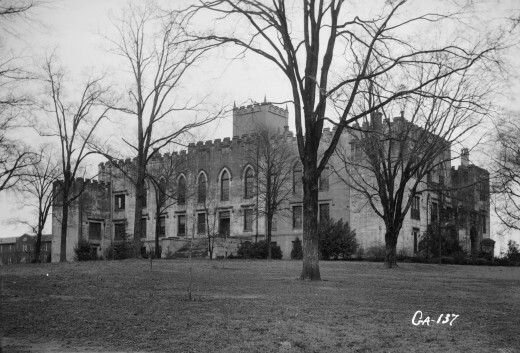 Its unique appearance is similar to the old state capitol in Milledgeville, Georgia. It served as the seat of the state’s government until 1929 and is now the Museum of Political History. Boston, Massachusetts. Probably one of the best known surviving colonial buildings in the United States, the Old State House in Boston is also the city’s oldest public building having been completed in 1713. It housed the state’s legislature until 1798 and is located in the middle of a busy street intersection surrounded by skyscrapers. Although it has undergone numerous restorations it still retains its Georgian appearance. Jackson, Mississippi. The domed Greek Revival building typifies state capitols of the mid 19th century. Completed in 1839 it was the seat of government until 1903. It sits within view of the newer, current, and much larger Beaux Arts capitol which replaced it in that year. St. Charles, Missouri. Easy to miss because of its nondescript architecture – it looks like an old brick townhouse – the old state capitol of Missouri is nonetheless unique. It served as the state’s seat of government from 1821 until 1826. The federal style brick building is now the First Missouri State Capitol State Historic Site. 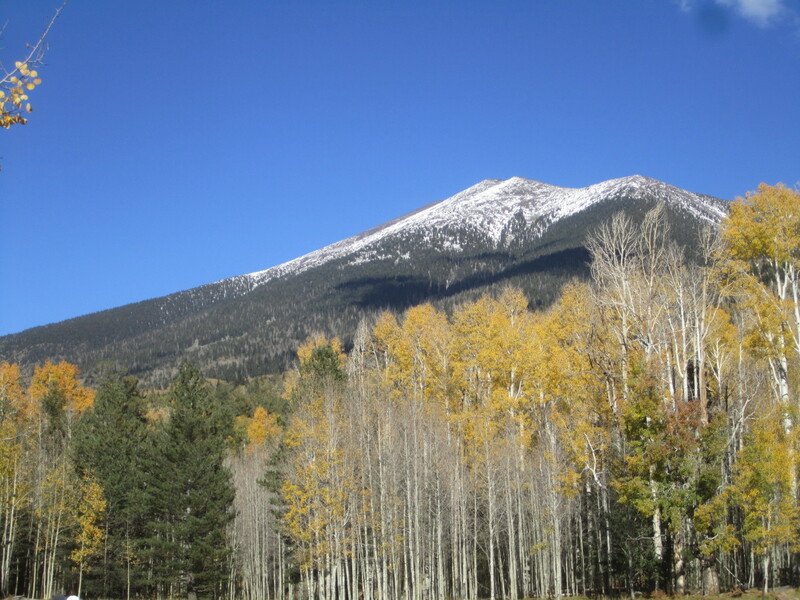 Sante Fe, New Mexico. A number of buildings hosted the state’s government before the current “Roundhouse” capitol was dedicated in 1966, and those included the Palace of the Governors and Bataan Memorial Building. The Palace of the Governors was built by the Spanish in 1610 as the seat of local government and still stands. 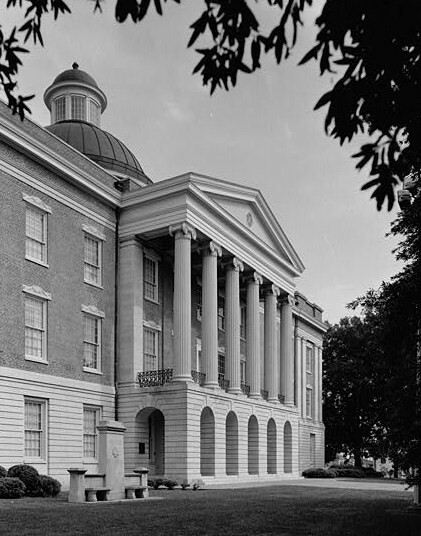 The 1850 capitol, known as the federal courthouse, was constructed as a capitol but never used for that purpose. It still remains as does the “Bataan Memorial Building” which was completed in 1900 and used as the territorial and later the state’s first capitol. It still functions as a state government building. It was replaced by the current “Roundhouse” capitol because it was deemed uncharacteristic for the state as a domed, classic revival structure. Its dome, formerly 105 feet high, was removed, and the structure was rebuilt in the territorial style. Philadelphia, Pennsylvania. One of the most celebrated buildings in the United States and formerly the capitol of the country, Independence Hall was also the location where the U.S. Constitution was drafted as well as the Declaration of Independence before that. Its storied history also includes the meeting place of the various Constitutional Conventions under the Articles of Confederation. It needs no special introduction but when all of the dust of nation-building and framing settled, Independence Hall functioned as the state’s capitol until 1816. It was originally completed in 1753 by William Strickland to seat the colonial legislature of Pennsylvania. 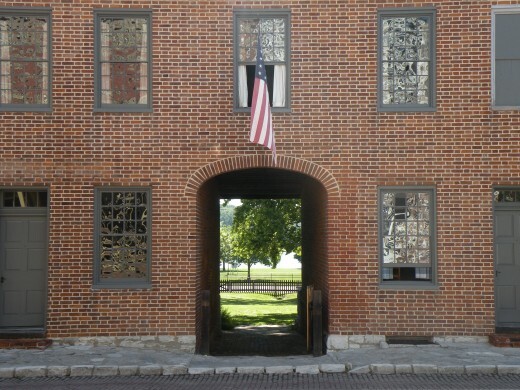 Arguably Pennsylvania’s location as a convenient midpoint in the thirteen colonies allowed Independence Hall to serve in a capacity greater than the state or colony level. Newport & Providence, Rhode Island.Rhode Island is one of a few states which has two extant old state capitols or state houses, still standing. One is in Newport, which was the capital from 1663 to 1904. 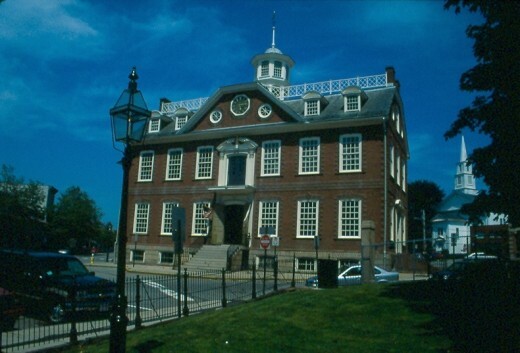 Also known as the Old Customs House or Old Colony House, this beautiful brick Georgian building was completed in 1741. The Old State House in Providence was also used as one of Rhode Island’s unique ‘circuit capitols’ until 1901. Built in 1762, it is a fine example of Georgian architecture. Fillmore & Salt Lake City, Utah. 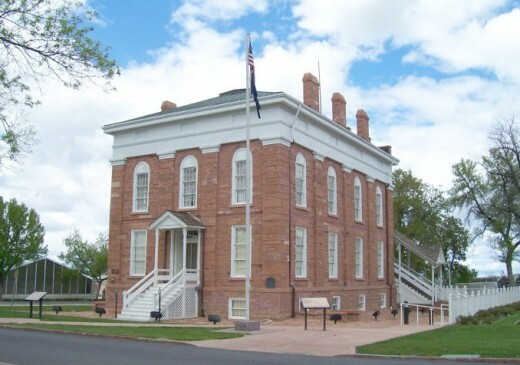 The original Utah Territorial Statehouse still stands in the town of Fillmore and this building housed the territorial legislature from 1851 until 1856. The modest two-storey brick building has federal elements. 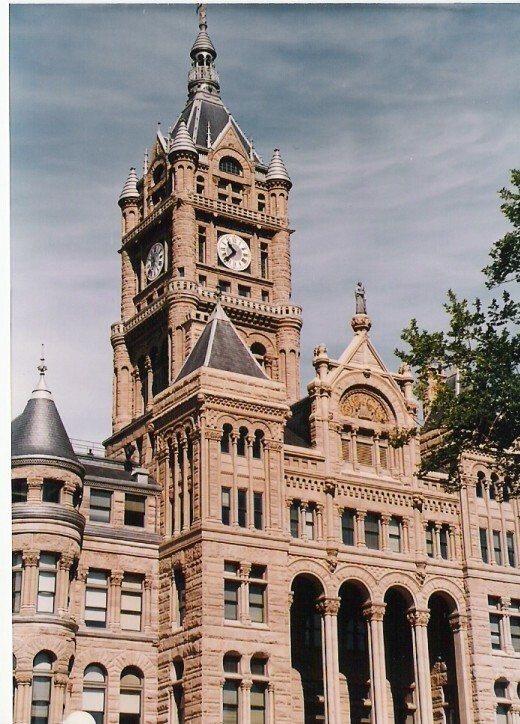 Salt Lake City replaced Fillmore as the territorial capital in 1858 but statehood did not come toUtah until 1896. The huge state capitol that is used now wasn’t completed until 1916 before which the Salt Lake City and County Building was used for that purpose from 1896 until 1916. This beautiful Richardsonian Romanesque building was completed in 1894 and has a central clock tower that is 256 feet high. Windsor, Vermont. 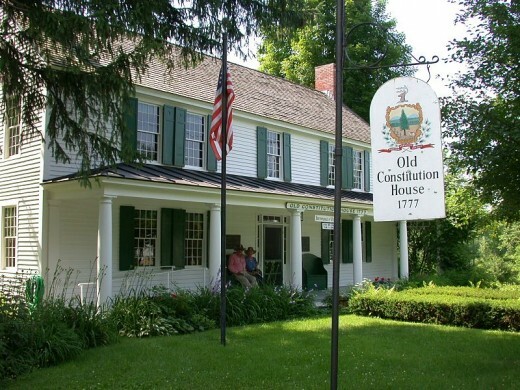 The Old Constitution House in Windsor, Vermont is appropriately named as it is just that - a house, which also functioned as a tavern. It served as the location of seat of the Vermont Republic, a short lived independent state, and the place of writing for the Constitution of the State of Vermont. This simple Georgian structure was completed in the mid 18th century, and is located on Main Street in Windsor. Wheeling, West Virginia. 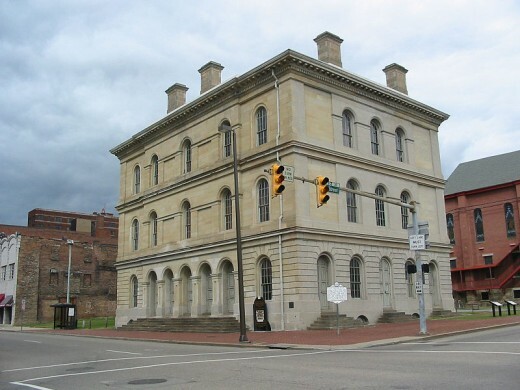 Known as West Virginia Independence Hall and built in 1860, the Renaissance revival buildingwas the location of the Wheeling Convention which restored the government of Virginia after the Ordinance of Secession in 1861 which effectively split Virginia into two parts during the Civil War. West Virginia therefore became the only state to secede from the Confederacy during the Civil War. The capital of West Virginia floated between Wheeling and Charleston until 1877 when the latter was made the permanent seat of government. State Capitols: photos, facts, and feats. The State Capitols: photos, facts, and feats. ElleBee - me too, never fails to fascinate.... Many thanks for reading and commenting. This is very interesting - I like all the old architecture, and to see how the styles varied so much amongst the different buildings. mvillecat - I have an interest in the state capitols and was surprised to find through the years the many historic state capitols which still exist - a fact that is lost to many of us. I have yet to visit the one in your hometown but that is on my bucket list. I live in Milledgeville so I was glad you included it in this interesting hub. Thanks. I voted up. GulfSouthRich - Very glad to hear you enjoyed reading. I think most people don't realize that these buildings are still around in one form or another and appreciate your interest. Great Hub. I am a bit of a history buff myself. Love the Louisiana Old State Capitol. The old Senate Chambers looks like a cathedral with all of the stained glass windows. idigwebsites - thank you for reading - they are indeed very interesting places to visit and often right under our nose. Very informative hub...these are great places to visit.